Save up to $20 on your next purchase when you buy from the NEW Southeast Chevy Parts Website. Customers will get 10% off of any order under $200 when they use coupon code 2014FIRST. Valid ONLY with online purchase, excluding phone orders and walk-ins. One coupon per customer per household. Sale ends December, 31 2014. 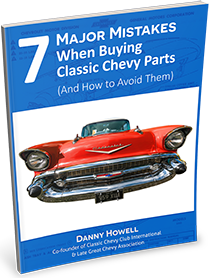 Save up to $20 on your next purchase when you buy from the NEW Southeast Chevy Parts Website. Customers will get 10% off of any order under $200 when they use coupon code 2013FIRST. Valid ONLY with online purchase, excluding phone orders and walk-ins. One coupon per customer per household. Sale ends December, 31 2013. Save up to $50 on your next purchase when you buy from the NEW Southeast Chevy Parts Website. Customers will get 10% off of any order under $500 when they use coupon code OCTOBER10. Valid ONLY with online purchase, excluding phone orders and walk-ins. One coupon per customer per household. Sale ends October 31, 2013.